What's The Most Over-Priced Car For Sale Now? Thanks to growing sales and shrinking currencies, the average car price may be rising but there are still a lot of great deals out there. And then there are cars you can't believe they actually charge a premium price tag for. What's the most over-priced car for sale? Just to clarify, I'm not talking about cars with crazy options, I'm talking about what they actually charge. 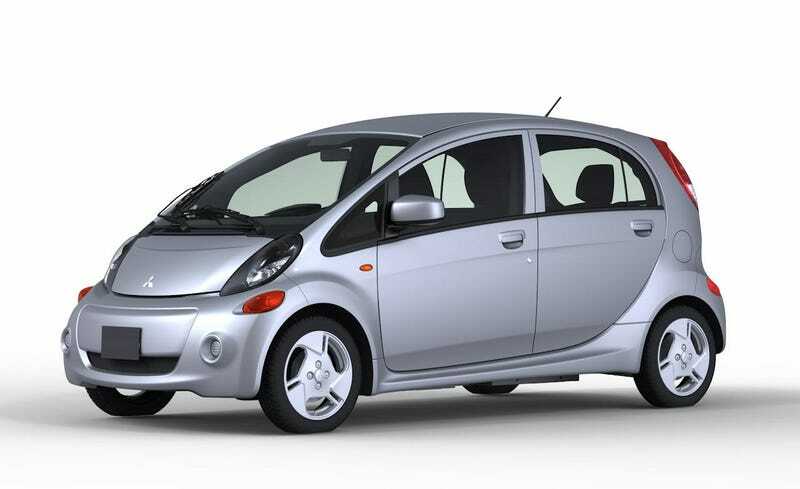 The answer is clearly the Mitsubishi IMiev. The little, mostly useless electric car costs $31,975 new (base) in SE trim. Even with a tax credit, you're paying more than $23K for a tiny golf cart of a vehicle that gets 62 miles of range while carrying four people not that comfortably. It's ridiculous when you could get a Leaf, Volt, or any other EV at a similar (or better) price with better range, performance, aesthetics, et cetera.